Can I just take a second and say that I’ve been having a goshdarn incredible week? Although the end of July is picking up and now more than ever I am worrying about getting back to school, really moving in to my apartment, finishing my big summer projects and about a dozen other things, this past weekend I really got a chance to settle down and do some relaxing. 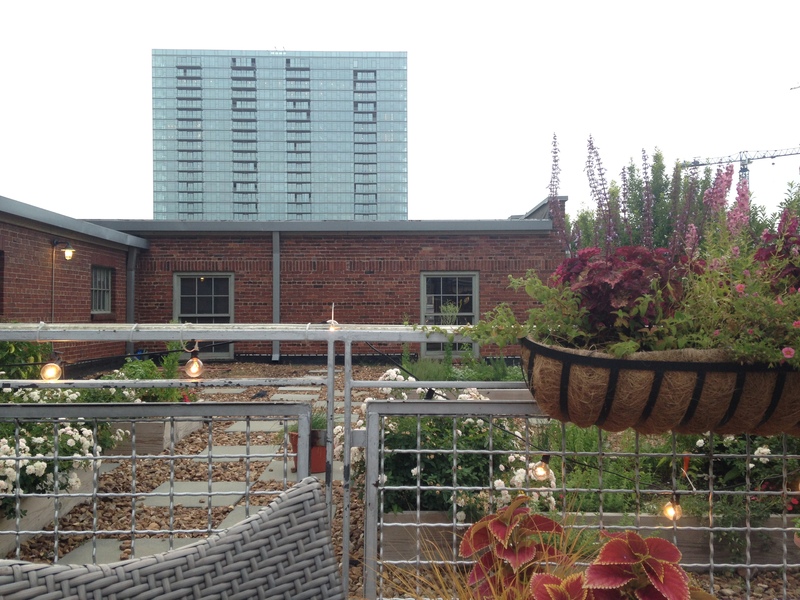 I got a chance to take a dip in Fall Creek Falls, went horseback riding for the first time in years, and got to get dressed to the nines and experience one of Nashville’s fine dining establishments, Watermark. 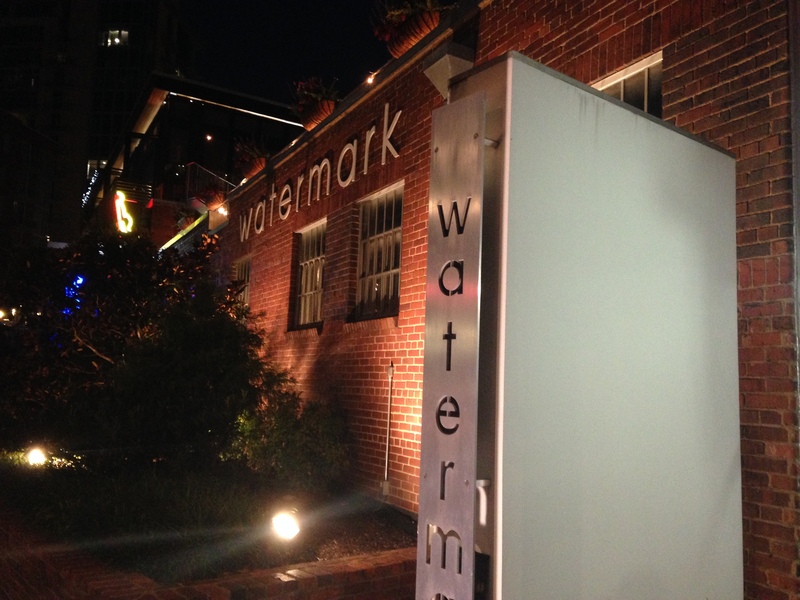 Located in the bustling downtown area that Nashvillians refer to as “The Gulch,” Watermark has been making its mark on the Nashville area with its perfect pairing of French food with a Southern flair. The elegant decor, especially the rooftop garden, create an ambiance that attracts a crowd with a taste for all things classy. We were fortunate enough to snag a table on the roof just as the sun was setting. Sitting in the middle of the city while being surrounded by the soft chatter of the other guests, only disrupted by the occasional clinking of a wine glass. As one slightly unfamiliar with French cuisine, it was a little bit of a challenge figuring out everything on the menu (although by the time our server had arrived I had learned what beef carpaccio and tuna tartare were). To start, we decided to go with the Stone Ground Grit Soufflé. 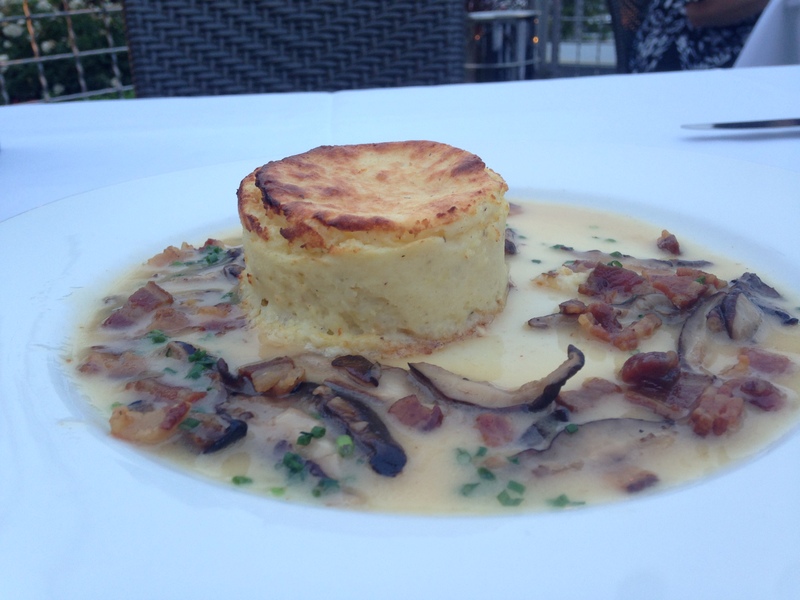 I’m not usually a fan of grits, but the goat cheese, bacon butter sauce, and mushrooms sounded too good to pass up. And we were absolutely not disappointed. Far from the bland and grainy grits I had previously experienced during my time in the South, this soufflé was smooth and perfectly flavored with salty, creamy goat cheese. The bacon and mushroom sauce surrounding the plate was simply incredible. An unfamiliar dish made familiar by classic ingredients taken to the next level. I played it safe by ordering chicken at Watermark, although I was intrigued by the venison as well as the other seafood items on the menu. But it ended up being the right choice. 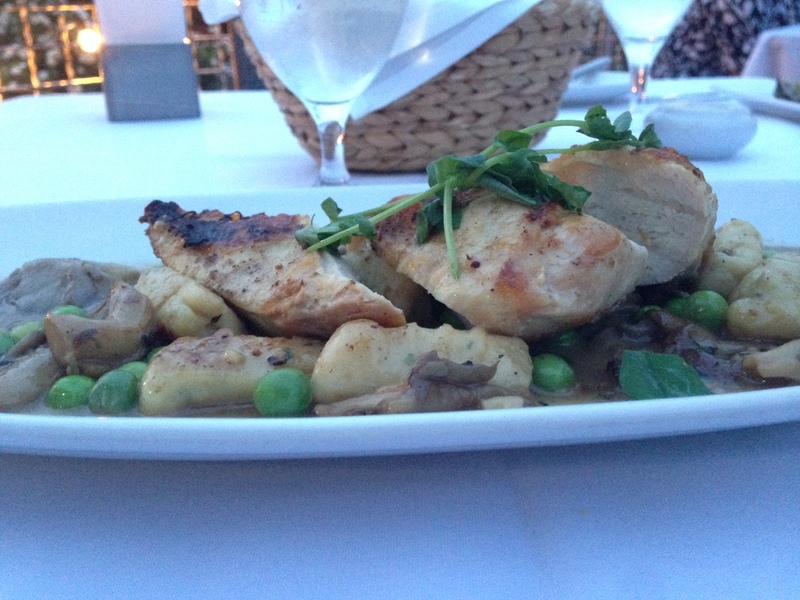 Fresh, local chicken paired with a ricotta gnocchi and fresh peas. A dressed-up version of something that my mom might make if I was back home in Wisconsin. 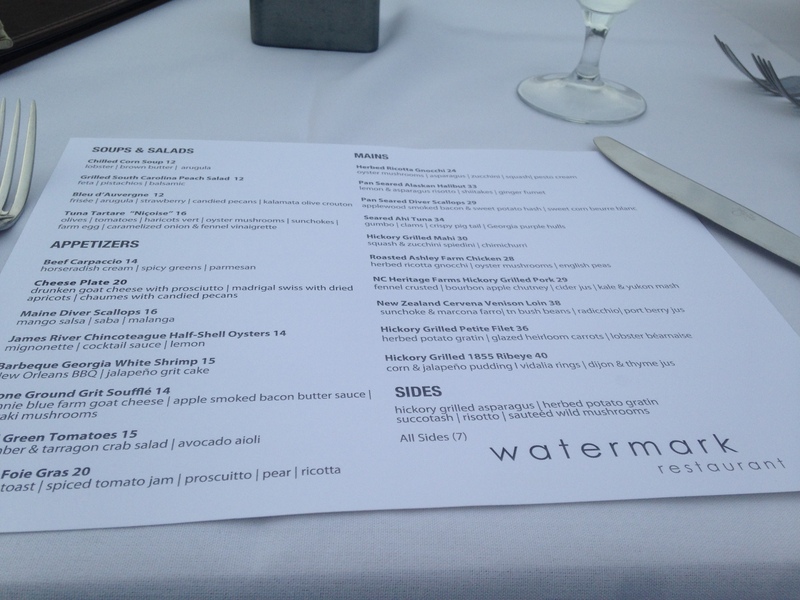 All in all I was really pleased with my experience at Watermark. Simple, yet refined dishes as well as an incredible location and ambiance make this a wonderful place to enjoy an evening under the lights of the city. A special thanks to my mystery dinner guest, who refuses to be identified but was wonderful all the same. Thanks for joining me at Jen’s Eats, and we’ll see you next week!